TrendMicro has a tool that verifies if the correct (needed) MS Patch (to protect against WannaCry) is active on a computer / server. This seems to be a great Verification Tool and recommend to run it to confirm SMB V1 (WannaCry) protection. so, need to rename the attachment before using. Please note that after the TrendMicro Check Utility verifies for the needed MS Patch, it prompts to Disable SMB V1 (maybe through the registry). SoftLayer and AWS: What’s the Difference? 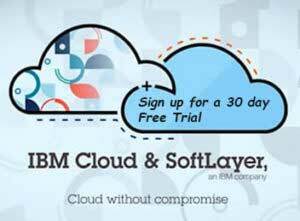 People often compare SoftLayer with Amazon Web Services (AWS). It’s easy to understand why. We’ve both built scalable infrastructure platforms to provide cloud resources to the same broad range of customers—from individual entrepreneurs to the world’s largest enterprises. But while the desire to compare is understandable, the comparison itself isn’t quite apt. 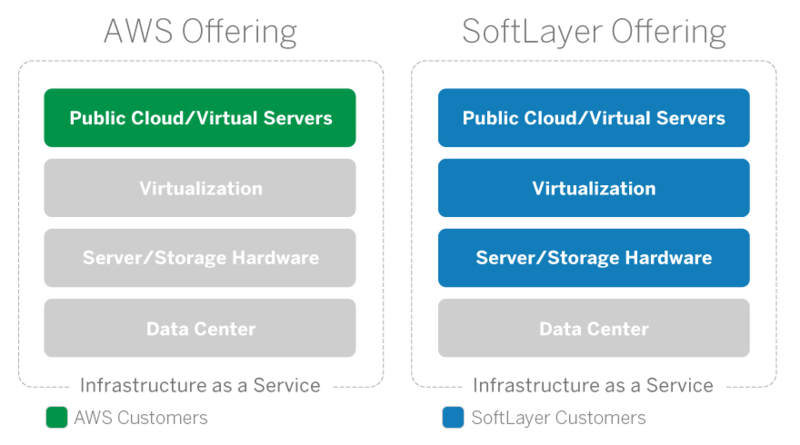 The SoftLayer platform is fundamentally different from AWS. In fact, AWS could be run on SoftLayer. SoftLayer couldn’t be run on AWS. AWS provisions in the public cloud. When AWS started letting customers have virtual machines deployed on the infrastructure that AWS had built for their e-commerce business, AWS accelerated the adoption of virtual server hosting within the existing world of Web hosting.In an AWS cloud environment, customers order the computing and storage resources they need, and AWS deploys those resources on demand. The mechanics of that deployment are important to note, though. AWS has data centers full of physical servers that are integrated with each other in a massive public cloud environment. These servers are managed and maintained by AWS, and they collectively make up the available cloud infrastructure in the facility. AWS installs a virtualization layer (also known as hypervisor) on these physical servers to tie the individual nodes into the environment’s total capacity. When a customer orders a cloud server from AWS, this virtualization layer finds a node with the requested resources available and provisions a server image with the customer’s desired operating system, applications, etc. The entire process is quick and automated, and each customer has complete control over the resources he or she ordered. AWS automates and provisions at the hypervisor level, while SoftLayer automates and provisions at the data center level. Building and deploying applications on SoftLayer with Bluemix, IBM’s Platform as a Service (PaaS), just got a whole lot more powerful. At IBM’s Interconnect, we announced a beta service for deploying OpenStack-based virtual servers within Bluemix. Obviously, the new service is exciting because it brings together the scalable, secure, high-performance infrastructure from SoftLayer with the open, standards-based cloud management platform of OpenStack. But making the new service available via Bluemix presents a particularly unique set of opportunities. Now Bluemix developers can deploy OpenStack-based virtual servers on SoftLayer or their own private OpenStack cloud in a consistent, developer-friendly manner. Without changing your code, your configuration, or your deployment method, you can launch your application to a local OpenStack cloud on your premises, a private OpenStack cloud you have deployed on SoftLayer bare metal servers, or to SoftLayer virtual servers within Bluemix. For instance, you could instantly fire up a few OpenStack-based virtual servers on SoftLayer to test out your new application. After you have impressed your clients and fully tested everything, you could deploy that application to a local OpenStack cloud in your own data center ̶all from within Bluemix. With Bluemix providing the ability to deploy applications across cloud deployment models, developers can create an infrastructure configuration once and deploy consistently, regardless of the stage of their application development life cycle. Koding is excited to partner with SoftLayer on its upcoming Global Virtual Hackathon, happening December 12–13, 2015. The event builds on last year’s Hackathon, where more than 60,000 developers participated from all over the world. The winners took home over $35,000 in prizes! This year, we’ve upped the ante to make the event even larger than the last time: the winner will take home a $100,000 grand prize. Hackathons are awesome. They allow developers to solve problems in a very short amount of time. The challenge with traditional hackathons is that they require you to be physically present in a room. With more and more of our lives moving online, why be tied to a physical location to solve problems? Virtual hackathons allow talented individuals from all over the world to participate, collaborate, and showcase their skills, regardless of their physical location. Our Global Virtual Hackathon levels the playing field. Educational games, especially those that teach programming, were popular to build—and a few actually won! Want to see what the winners built? Click here to check out a fun yet effective game teaching students to program. Learn more about the team of developers and see their code here. Last year, nine winners across three categories took home a prize. To see a list of last year’s winners, see the blog post here. So how do you win? First and foremost, apply now! Then talk to some friends and maybe even team up. You can also use Koding to find teammates once you’re accepted. Teammates aren’t a requirement but can definitely make for a fun experience and improve your chances of making something amazing. Once you’re in, get excited! And be sure to start thinking about what you want to build around this year’s themes. With OpenStack, cloud computing becomes easily accessible to everyone. It tears down financial barriers to cloud deployments and tackles the fear of lock-in. One of the main benefits of OpenStack is the fact that it is open source and supported by a wide ecosystem, with contributions from more than 200 companies, including Canonical and IBM. Users can change service providers and hardware at any time, and compared to other clouds using virtualization technology, OpenStack can double server utilization to as much as 85 percent. This means that an OpenStack cloud is economical and delivers more flexibility, scalability, and agility to businesses. The challenge however lies in recruiting and retaining OpenStack experts, who are in high demand, making it hard for companies to deploy OpenStack on time and on budget. But BootStack, Canonical’s managed cloud product solved that problem by offering all the benefits of a private cloud without any of the pain of day-to-day infrastructure management. Resourcing an OpenStack six-strong team to work 24×7 would cost between $900,000 and $1.5 million and can take months of headhunting. Thus the savings that OpenStack should bring companies are eroded so Canonical created BootStack, short for Build, Operate, and Optionally Transfer. It’s a new service for setting up and operating an OpenStack cloud, in both on-premises and hosted environments, and it gives users the option of taking over the management of your cloud in the future. 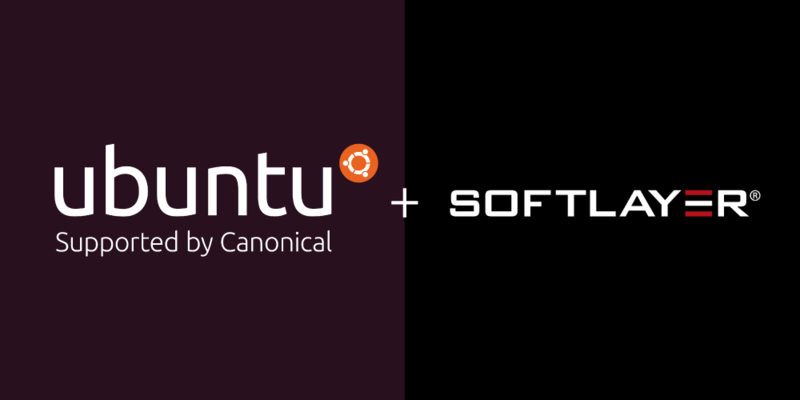 After working with each customer to define their requirements and specify the right cloud infrastructure for their business, Canonical’s experienced engineering and support team builds and manages the entire cloud infrastructure of the customer, including Ubuntu OpenStack, the underlying hypervisor, and deployment onto hosted or on-premises hardware. As a result, users get all the benefits of a private cloud without any of the pain of day-to-day infrastructure management. For added protection, BootStack is backed by a clear SLA that covers cloud availability at the user’s desired scale as well as uptime and responsiveness metrics. What does the word “gift” mean to you? In English, it most often refers to a present or something given voluntarily. In German, it has a completely different meaning: “poison.” If a box marked “gift” is placed in front of an English-speaker, it’s safe to assume that he or she would interact with it very differently than a German-speaker would. In the same way, simple words like “public,” “private,” and “hybrid” in cloud computing can mean very different things to different audiences. But unlike our “gift” example above (which would normally have some language or cultural context), it’s much more difficult for cloud computing audiences to decipher meaning when terms like “public cloud,” “private cloud,” and “hybrid cloud” are used. We, as an industry, need to focus on semantics. For some audiences (and the enterprise market), whether an infrastructure is public or private is largely a question of location. Does a business own and maintain the data centers, servers, and networking gear it uses for its IT needs, or does the business use gear that’s owned and maintained by another party?